Using the 2.6 meter telescope at the Byurakan Observatory, astronomers monitored the flare stars HU Del, CM Dra, WX UMa, and VW Com over a two month period, observing that the energy distribution in the spectrum of flare star WX UMa changed sharply making it almost 15 times brighter in a matter of 160 seconds. Astrophysicists at the University of Santiago de Compostela (Spain) and the Byurakan Observatory (Armenia) have detected a star of low luminosity which within a matter of moments gave off a flare so strong that it became almost 15 times brighter. The star in question is the flare star WX UMa. 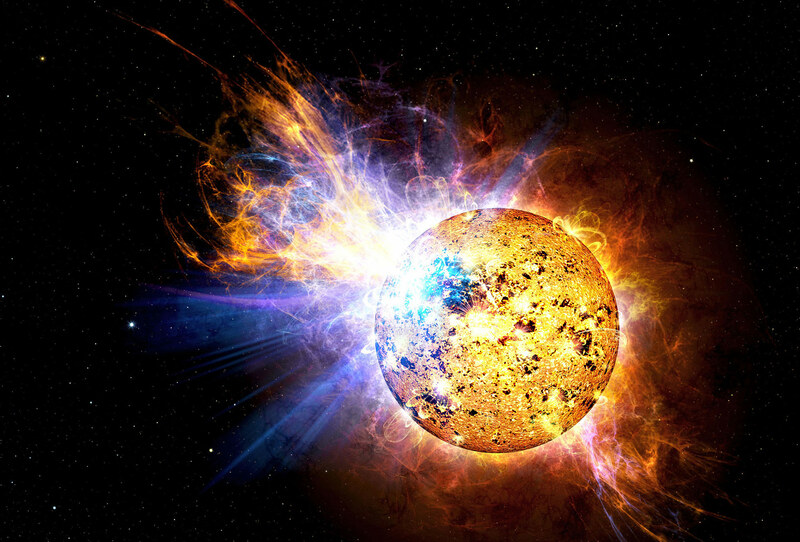 “We recorded a strong flare of the star WX UMa, which became almost 15 times brighter in a matter of 160 seconds,” explains to SINC the astrophysicist Vakhtang Tamazian, professor at the University of Santiago de Compostela. The finding has been published in the ‘Astrophysics’ journal. This star is in the Ursa Major constellation, around 15.6 light years from the Earth, and it forms part of a binary system. Its companion shines almost 100 times brighter, except at times such as that observed, in which the WX UMa gives off its flares. This can happen several times a year, but not as strongly as that which was recorded in this instance. Based on their spectral absorption lines, stars are classified using letters. Type M stars have a surface temperature of between 2,000 and 3,700 K; Type B between 10,000 and 33,000 K.
WX UMa belongs to the limited group of “flare stars”, a class of variable stars which exhibit increases in brightness of up to 100 factors or more within a matter of seconds or minutes. These increases are sudden and irregular – practically random, in fact. They then return to their normal state within tens of minutes. Next, kinetic energy in the plasma transforms into thermal energy in the upper layers of the atmosphere and the star’s corona. This significant rise in the temperature and brightness of the star enables astronomers to detect changes in the radiation spectrum. “Photometric and spectroscopic monitoring of this kind of flare stars is very relevant because it provides us with information about the changing states and physical processes, which are in turn key to studying the formation and evolution of stars,” Tamazian explains. To carry out this study, in which flares in other binary systems (HU Del, CM Dra and VW Com) have also been analysed, the SCORPIO camera of the Byurakan Astrophysical Observatory was used. This camera enables both the spectrum and the brightness of these objects to be detected. Flare stars are intrinsically weak, and can therefore only be observed at relatively short distances in astronomic terms, specifically in the vicinity of the Sun, up to a distance of a few tens of light years. 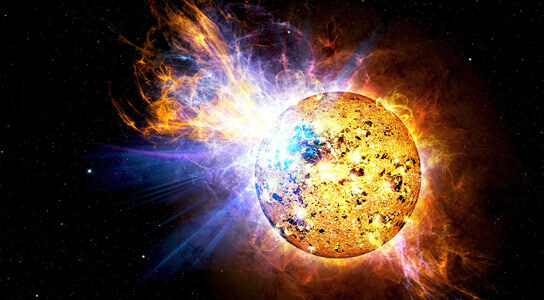 Be the first to comment on "Astronomers Observe Flare Star WX UMa Becoming 15 Times Brighter"